Volume Discounts:10% off for all orders, 20% off for orders over $30, and 30% off for orders over $130. Discount automatically applied at checkout. 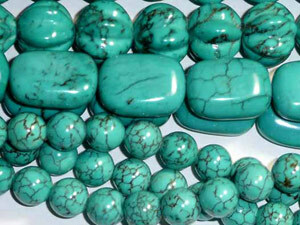 We offer a wide selection of natural high-grade turquoise, gemstones, pearls, beads and more. All of our items are subject to a minimum of two quality inspections: first by our purchasing teams abroad, and then again once upon arrival in the United States. 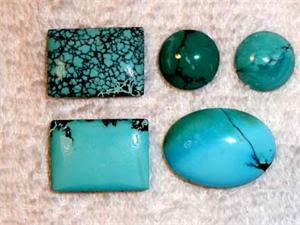 As purveyors of superior turquoise, pearls, gemstones and more, we stand by the quality and authenticity of our goods. 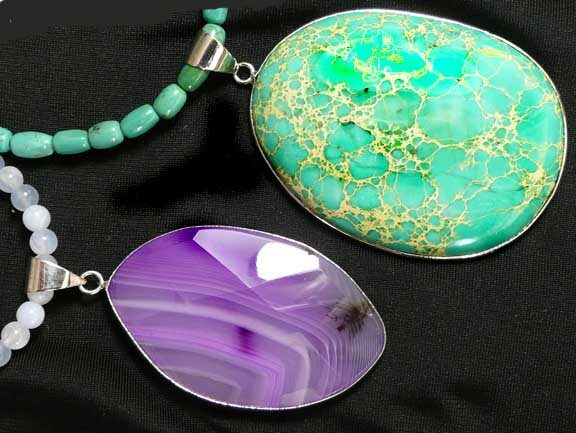 Be warned: there are websites, in particular ones shipping from abroad, offering what they advertise to be genuine turquoise at extremely low prices. 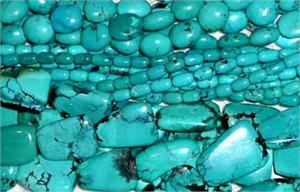 While their "turquoise" may appear very affordable, it is not in fact authentic natural turquoise. 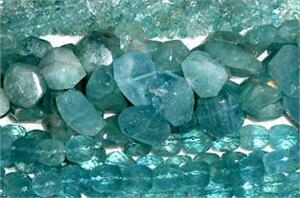 Rather, they are passing off artificially processed and dyed rocks as turquoise! 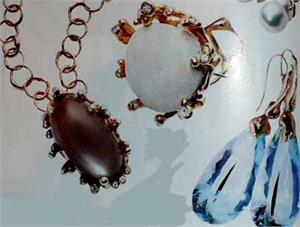 We are constantly adding new items to our new website. So some items and categories may currently be unavailable. 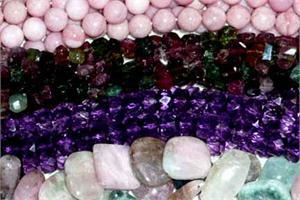 If what you're looking for is not on our website at the moment, please e-mail us at sales@transpacificgems or call us at (909) 350-8203. 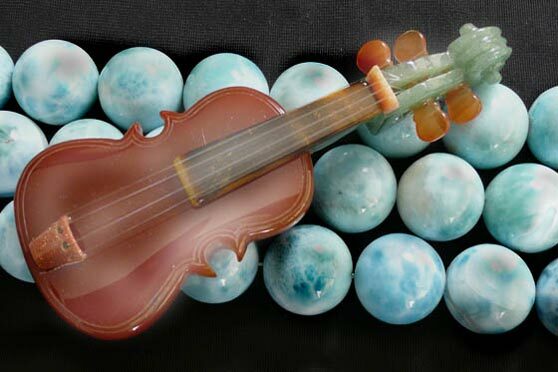 We have over 300 types of turquoise beads and cabochons, 400 types of gemstone and porcelain beads, and an assortment of pearls of varying types and sizes. Chances are we have just what you're looking for! 9.00/strand after 30% discount. 5mm Big Hole in each bead & popularly-named Pandora bead. 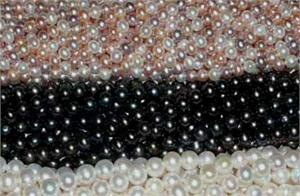 Approx 40 beads per strand. Hand-painted in multi-color. 5.60/strand after 30% discount. 5mm Big Hole in each bead & popularly-named Pandora bead. 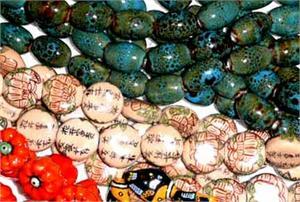 26 beads per strand. Hand-painted in multi-color. 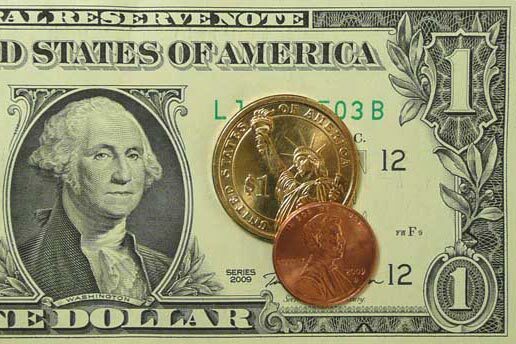 $4.00 after 30% discount. 16" long strand & approx. 15 beads per strand. 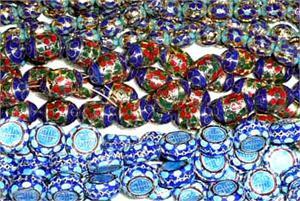 With a floral pattern on each bead. $4.00/strand after 30% discount. 16" long strand & approx. 21 beads per strand. 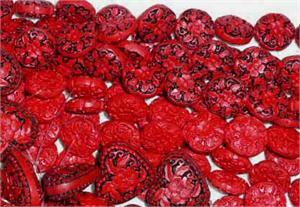 Rich red color & good for Chistmas ornamets. $3.00 after 30% discount. 8.5" long strand/approx. 8 beads per strand. $3.50/strand after 30% discount. 7 pcs per strand. Hand-painted Black/Green color. Flat white back. $3.50/strand after 30% discount. 7 pcs per strand. Hand-painted orange color. Flat white back.